This Swiss is produced by Rapid as a specialist bank tractor. It is equipped with a 9 hp petrol engine to give optimum performance on steep gradients. It features hydrostatic drive and handlebar controlled steering by means of two independent wheel motors. 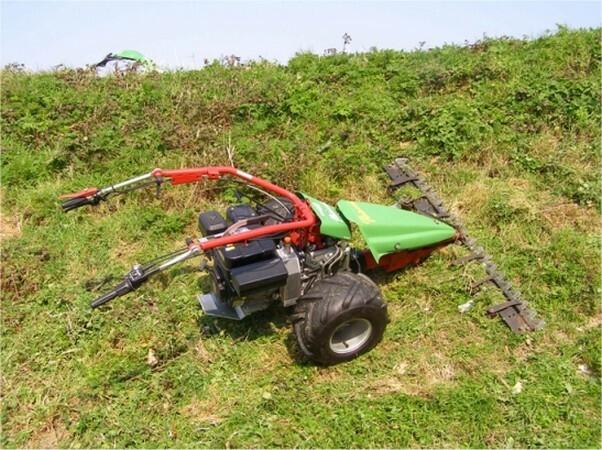 It is specially designed to work on very steep slopes and can be fitted with various wheel options including steel sprocket wheels for the severest of conditions. It features an independent PTO system to keep the attachment drive constant regardless of forward speed and, of course, the Rapid twist grip hydrostatic transmission control. 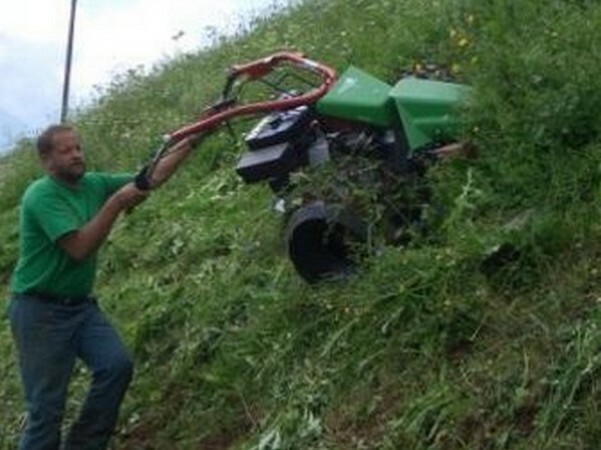 The Swiss is a single direction tractor which is usually equipped with either a cutterbar or flail mower which can be changed swiftly by the tool free quick attach system.